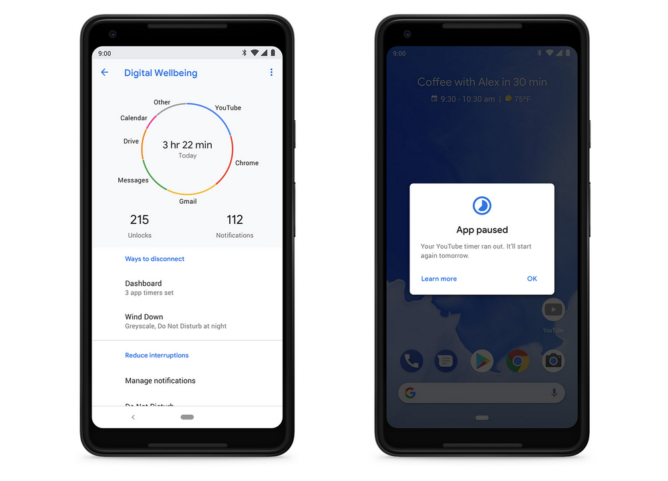 In case you don't remember, the features in Google's new Digital Wellbeing suite are meant to encourage what CEO Sundar Pichai called "JOMO," for the "joy of missing out"—as opposed to the modern social terror of "FOMO"/fear of missing out. The new features include a data-packed Dashboard that helps you understand your phone usage better, App Timers for placing your own limits on usage, a "devices down" Do Not Disturb mode for preventing interruptions from having an impact on your anxiety, and a new Wind Down feature for encouraging you to disconnect at night. 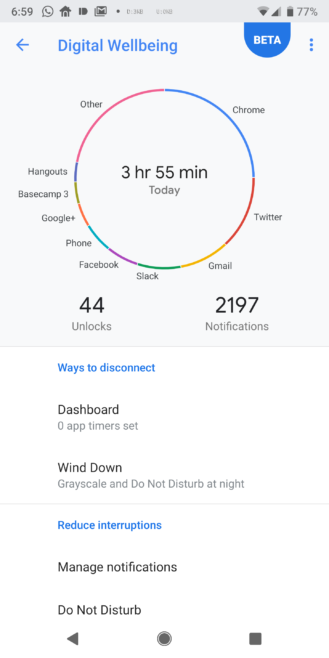 These different features comprise what Google calls Digital Wellbeing. Together, they are meant to help you understand your own habits and digital health better, enabling you to know when and how to switch things off for a better work/life balance. I was pretty well convinced Digital Wellbeing was being held for a future Android release, probably to go with the Pixel 3s, but I'm glad to be proven wrong. Interested in giving it a try? You can sign up for the beta, just keep in mind you'll need to be using a Pixel device on Android P to be eligible. Once you've signed up (and assuming you meet the requirements), you'll receive an invitation via email in the next 24 hours. Accept it via the link provided, and Digital Wellbeing should appear in your phone's Settings app, which can take up to an additional 24 hours. For more information and an FAQ on the subject, see this thread over at the Pixel User Community. If you accept the invite, the app can be installed via this Play Store listing onto your Pixel, providing you with all the features noted above. We've played around with it for a little bit, and so far it seems to deliver on all its promises, though a full hands-on will still take some more time. Artem gets lots of notifications. If you don't want to participate in the formal beta for some reason, or you're just impatient to get the app installed, we also have it for you over at APK Mirror. We can confirm that the APK will still work even if you haven't been accepted into the beta. 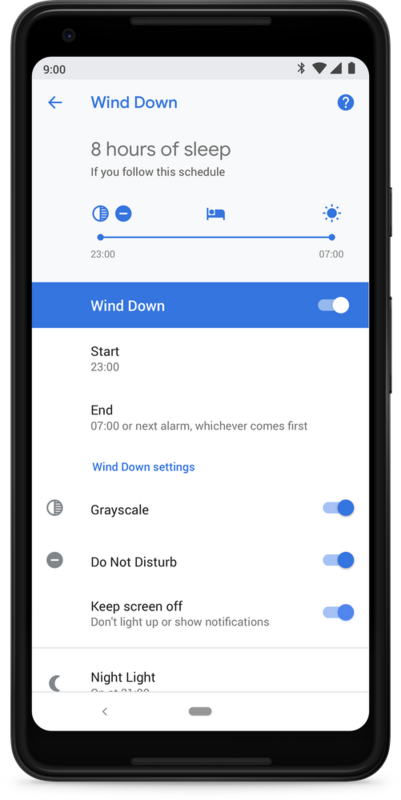 Although the app is capable of being installed on other hardware (I tested it on my Essential PH-1 running the final Android 9 Pie release), the Digital Wellbeing option in settings doesn't actually appear if you aren't on a Pixel.